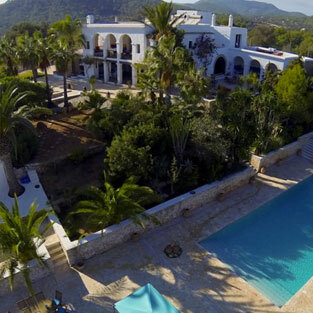 El Sultan is just south of Ibiza Town near the beaches of Salinas and Cala Jundal. It has the luxury of both pool and tennis court so there is plenty to do. Inside the villa is spacious with very comfortable rooms and areas to snuggle into. Outside there are several terraces to dine or chill out on, so the only question to answer is shall we swim or a spot of tennis anyone?. El Sultan is situated on top of a hill south of Ibiza Town. Nearest beaches are Salinas, Es Cavalelet & Cala Jundal.